Ammonia (NH3) is synthesized by catalytic reaction between nitrogen contained in the air and hydrogen coming from hydrocarbons (natural gas) and steam for ammonia producers. It is part of the petrochemical industry process. Ammonia is the main component of fertilizers. It is one of the most highly produced basic chemicals just behind sulfuric acid. More than 80% of ammonia production is used in fertilizers. The rest of the production is used in nitro compounds (explosives, fibers, resins, animal feed). Cryogenic separation of inert gases from the raw synthesis gas. Within the ammonia synthesis process, the cryogenic unit is integrated into the purge gas recovery loop to recover hydrogen from the purge stream and feed it back to the ammonia synthesis loop after recompression. This process does not contribute to energy savings. Rather it represents a good option for installation revamping. Brazed aluminium heat exchangers and cryogenic pumps are used in the cryogenic unit to separate fluids. Fives and its Cryogenics | Energy business line provides cryogenic pumps and brazed aluminium heat exchangers offering multi-stream capability and design flexibility. 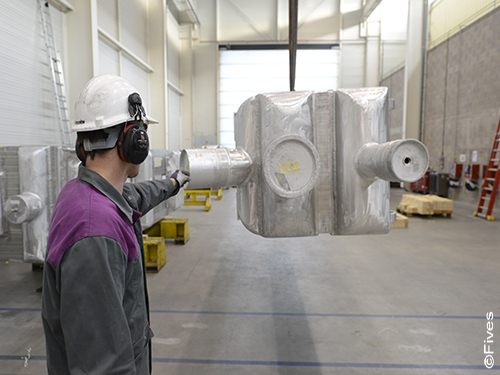 As a world leader in the supply of brazed aluminium heat exchangers (BAHX) and associated equipment for petrochemicals processing plants, Fives has supplied more than 10 000 BAHX since 1959. All major process licensors and engineering companies have trusted Fives and its ultimate performance equipment. 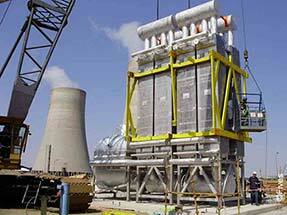 Fives has supplied equipment for numerous ammonia plants.